With the next Hearthstone expansion not far away, now is the perfect time to start hoarding gold for those precious, precious packs. Happily, Blizzard have stepped in to offer you twice the reward for completing quests during the game’s next Tavern Brawl, due to go live this afternoon. Fancy a Journey to Un’Goro? 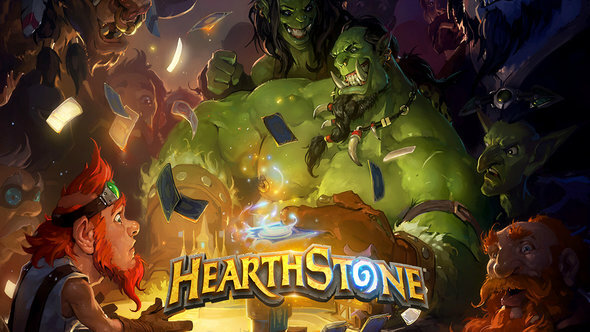 Here are our best Hearthstone decks for beginners. As reported by Hearthpwn, this week’s brawl, set up in celebration of the Midsummer Fire Festival, will feature Ragnaros, the Firelord. In a statement,the Firelord confirms that you’ll spend this week celebrating in his honour, and that he will feature in the Brawl alongside a smaller version of himself. He also confirmed that you’ll earn double gold from completing quests during the Brawl. Gold earned by completing quests is used for buying packs and entering the Arena, both of which are vital to earning new cards. With Hearthstone’s next expansion likely to be announced this weekend that gold will be more important than ever. There are few concrete details about the expansion, but it’s rumoured to be Return of the Lich King, probably featuring a lot of undead, icy stuff. Blizzard have also recently announced changes to the way Hearthstone’s card packs work. Starting with the release of the next expansion, you’ll no longer open duplicate legendaries from the same set. Blizzard have also guaranteed players one legendary card out of their first ten packs of a new expansion.